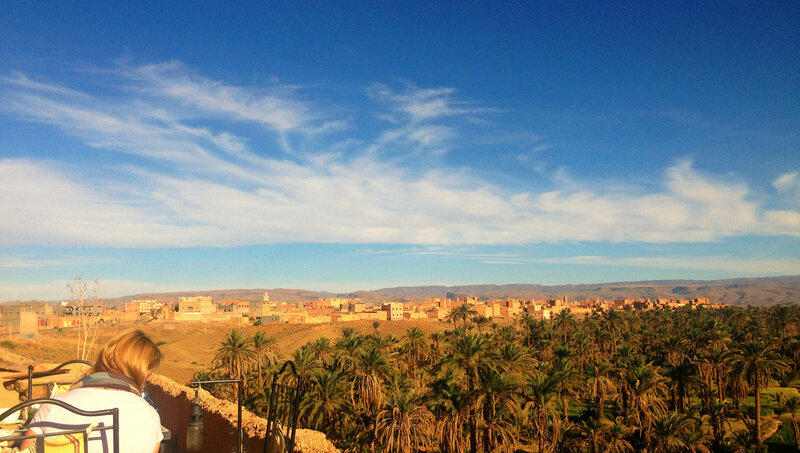 Kasbah Ennakhile is a hotel located in Nkob village – south of Morocco, 360KM from Marrakesh. 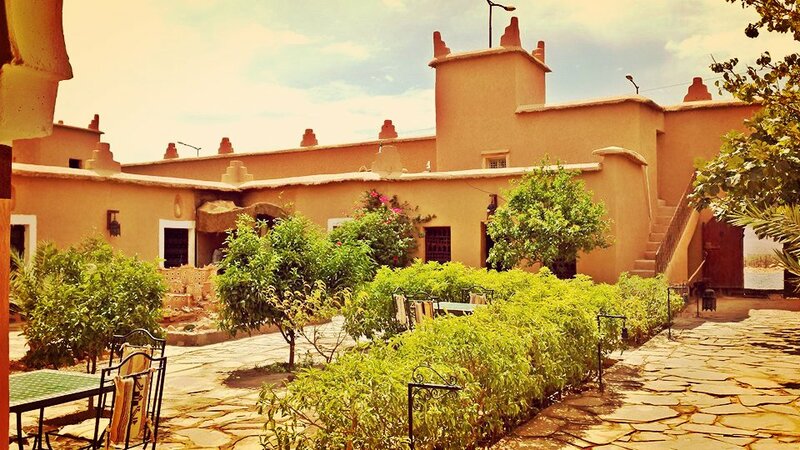 Kasbah Ennakhile is managed by Hossaine Benaamer, a young Berber man born in 1981. Hossain’s history and his love for life is quite interesting and a perfect example of how everything in life can be achieved. After deeply suffering from his father death and turning into the man of the family, Hossain started working to support his mother, brothers and sisters right away. Hossain’s father, Mr. Lahcen Benaamer, a Berber nomad that came to Nkob to build a small house, was known in the region as an artist, painting unique artwork in ceilings and walls. His excellent Fez type of decoration, mixed with local Berber traditional colors and simplicity, made his father remarkably remembered around the region, where he hand-painted more than 100 living-rooms. Hossain moved to Ouarzazate back in 1997 to work in Essalam restaurant, one of the first restaurants in town. During this time, he takes advantage of his extra time to attend night school, to learn English and French at a local academy. In 1999, he started working at Hotel Amlal, a hotel located in center Ouarzazate, that belongs to Hossain’s family. Here, he learns how to deal with tourist and comes up with fresh ideas and experiences on how to run a hotel. 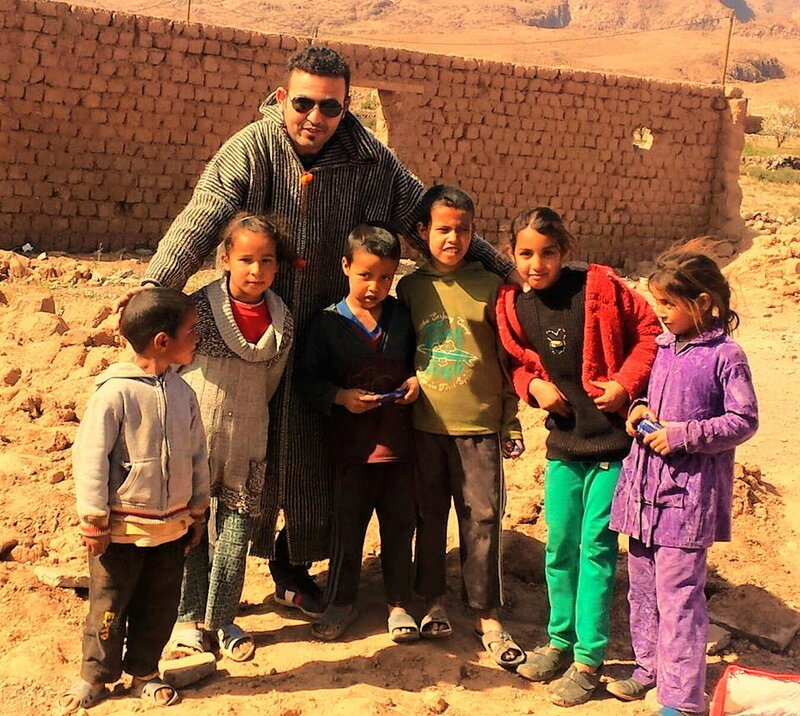 After a few years, Hossain comes back to his village with a wish of opening a hotel, in order to receive the clients arriving to his family’s establishment in Ouarzazate. In 2002, Hossain opens a 4 room Inn with a bigger project in mind – Kasbah Ennakhile, a better quality hotel, where he could provide excellent accommodation and restaurant service to all travelers arriving to Nkob. Being the first hotel in the village, it soon proved to be a success. Hossain quickly understood that his success rested upon his village’s growth. Hossain is president of a local women’s aid association, where he promotes local Berber women development. The main goal is to gather the local women to work, producing traditional carpets, perfumes and different handicraft. Women are paid fairly as this non-profit organization sells the merchandise. Nkob Cooperative for Development is also responsible for trash removal from around the village, providing trucks and man power, in order to improve local people human development and life conditions. Read more about the Cooperative for Development of Nkob.